Prior to the 1933 election, the soon to be democratically elected leader of Germany had his goons raid the offices of opposition parties. On the eve of the election, the Nazis arranged to have a fire set in the Reichstag and then exploited this sensationalistic event to call for granting Hitler dictatorial powers. 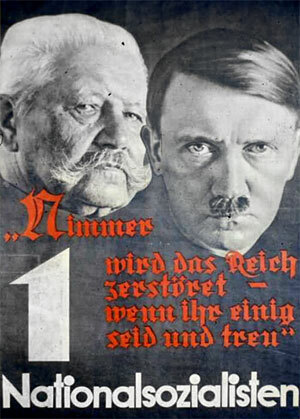 Hitler called for the immediate execution of all communists in Germany, but Paul von Hindenburg, who had appointed Hitler as Chancellor, rescinded the order. Authoritarian power grabs are a common feature in “democracies” like Germany and the United States. Political parties representing the oligarchical elite often react violently when challenged, as the Nazis did in 1933 and establishment Republicans did the other day in Louisiana. In fact, this sort of behavior should be expected and has plenty of historical antecedents (as noted above), so shock is probably an inappropriate response, especially considering past shenanigans of Republicans when confronted with the popularity of Ron Paul. Republicans have not called for arresting and executing Ron Paul and his supporters at state conventions, but the mindset is incipient. As history repeatedly demonstrates, it is a short leap from the sort of thuggish behavior demonstrated over the weekend in Louisiana to full-blown fascist mass arrests, political concentration camps, and executions.